This course will familiarize our students with a practical understanding of the laws of estate planning. Students learn how the federal estate tax system works and what to consider when doing estate planning. Topics include: federal estate and gift taxation; various estate planning techniques; proper use of trusts; life insurance as an estate planning tool; gifts; charitable transfers; intra family business and property transfers; and planning for incapacity. Students will learn the appropriate procedures relevant to drafting and interpreting will and trust documents, and will become familiar with the initial planning and preparation necessary for a comprehensive estate plan. Also discussed are techniques for drafting estate planning documents, estate administration, probate practice, the closing of an estate, relevant gift tax laws, and the role of the probate courts in estate planning. Additionally, basic inheritance issues are explored. Describe the rules of intestacy, and apply those rules to a fact pattern. Describe the basic structure of the federal and state gift and estate tax system. Assist in the preparation of an estate plan for a hypothetical client. Assist in the drafting a will, including various testamentary trusts that may be appropriate for a hypothetical client’s situation. Draft various provisions in wills and explain their significance. Determine which beneficiaries are entitled to what assets, based on looking at the provision of a will. Explain the purpose and effect of credit shelter trusts, qualified terminable interests in property, qualified domestic trusts, individual single beneficiary trusts, etc. Describe and apply various rules regarding will execution. Assist in the preparation and filing of a probate proceeding. 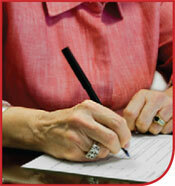 Describe the various steps to complete the probate process. Assist in the drafting of a variety of trusts. Explain the forms and functions of various types of trusts both revocable and irrevocable, irrevocable life insurance trusts, etc. Explain the benefits of charitable trusts. Determine whether a charitable trust is a good idea for a particular hypothetical client. Describe the features of the various types of charitable trusts, and when their usage is appropriate. Describe and apply the basic rules that govern trust administration, including the rights and responsibilities of the trustee.